In a world where technology allows everyone access to your business and personal affairs, it is safe to say that peace and privacy are priceless. The last thing you want when you get home is to deal with other people’s noise and fracas or having to worry about inconveniencing others with your own activities. Besides, what happens behind closed doors is your business- no need for the entire neighborhood to listen in. 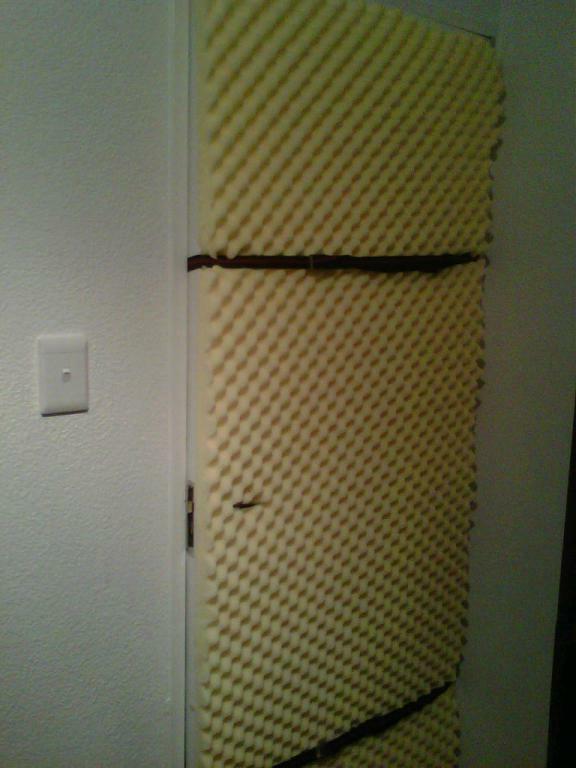 With this in mind, soundproofing your door begins to sound like a great idea. The process itself is not entirely breezy and will require a lot of decision making, time and financial input. Below are a few tips and guidelines that should help make the process a lot easier for you whether you are a beginner taking on a DIY project or you are an expert. Why Would You Need To Sound Proof Your Door? To get peace and quiet from noisy neighbors. To get peace and quiet from noisy environments like a nearby highway, train track or airport. To avoid distracting neighbors with noise from your home. This applies mainly when you run a manufacturing business from home or you practice music at home. For privacy and to hinder eavesdropping. 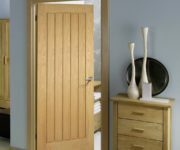 Having understood the importance and benefits of soundproofing your bedroom or apartment door, the next important part is understanding how to do it. Below are a few tips on how to choose the materials, work with them and keep them functional for long lasting soundproofing effects. 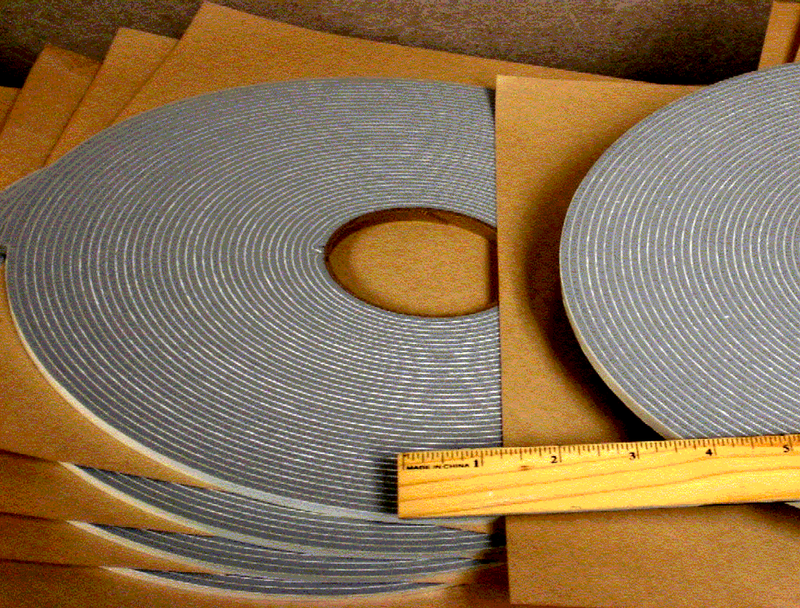 Fiber boards - Fiber boards are made out of wood fibers that are compressed to form high density compact boards. 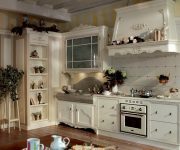 The material is one of the most commonly used in construction whether domestic or commercial. This is because of its many benefits including the ability to deaden or completely mute sounds coming from inside or outside. 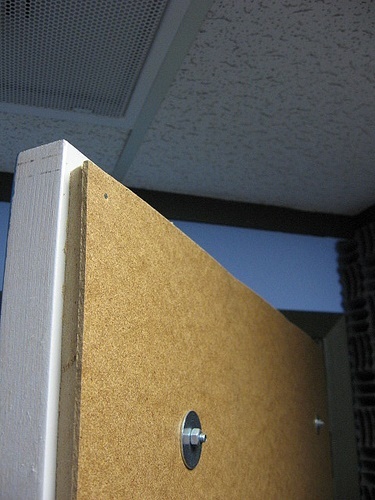 When used for soundproofing, a board the size of the door is attached to either side using industrial grade glue in order to maintain the unit’s integrity. 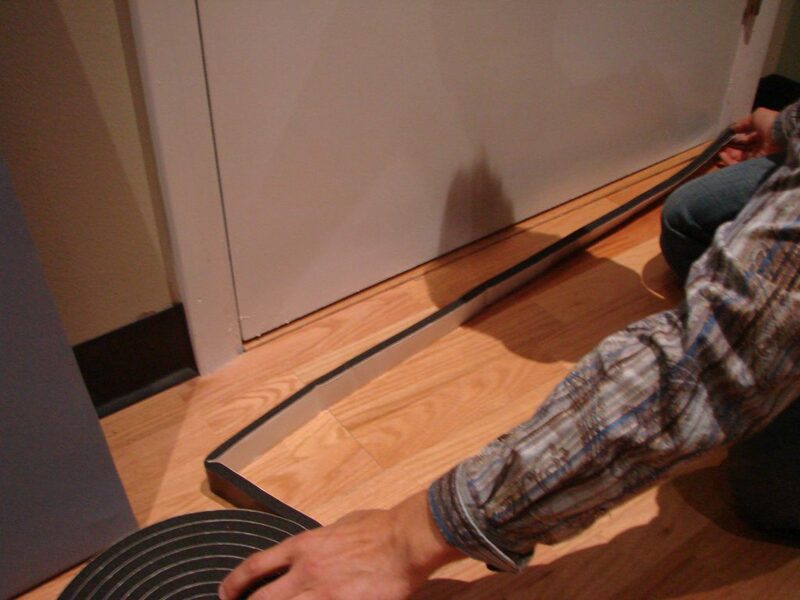 Sound proofing rubber - Rubber is the material of choice during apartment door soundproofing. 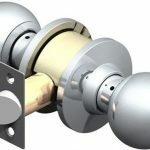 It is used to seal cracks around the door allowing sound to be kept in or out without compromising on the door’s functionality. This is on account of its natural flexibility. 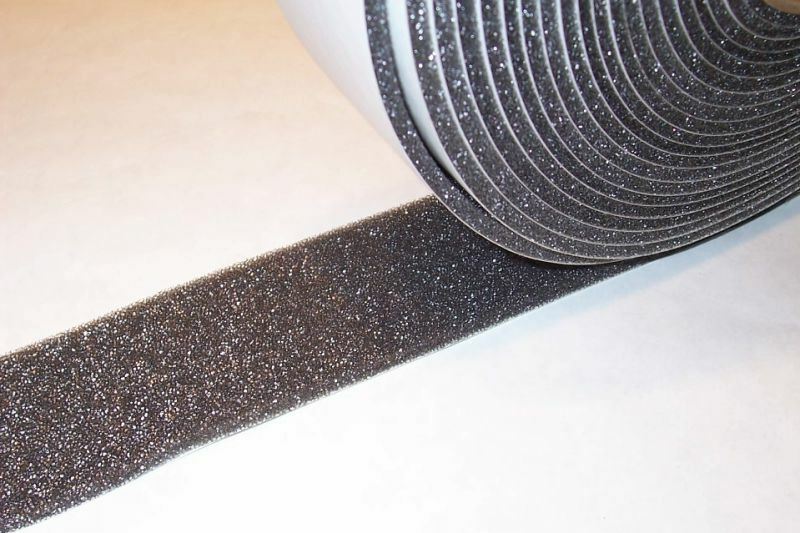 Soundproofing rubber in particular is the best for soundproof interior doors as it is reinforces and extra compressed to prevent vibration and transmission of sound through the door. That way, you can rest assured that the project will be successful. - STEP 1 - Assemble the necessary equipment. In addition to the soundproofing materials discussed above, you will need industrial grade glue, a tape measure, heavy duty gloves and acoustic caulk. - STEP 3 - Apply the fiber wood board. During this step, precision is key in order to avoid interfering with your door’s ability to open and shut easily. 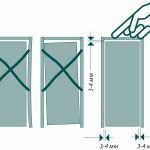 Using the tape measure, ensure that the board corresponds to the door’s measurements. The next thing is to place the board onto the glued surface of the door and wait for the two surfaces to become bonded. - STEP 4 - Install the soundproofing rubber slits. With the board in place, the next step is to install the rubber with the help of the soundproofing caulk. 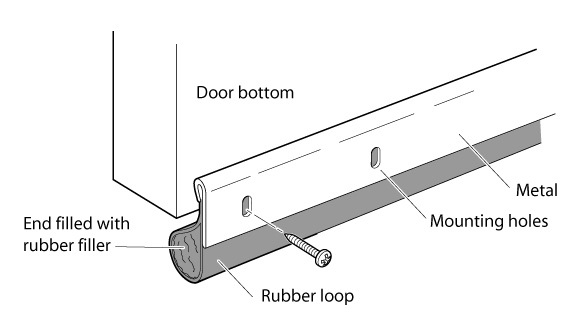 This covers the cracks on the door’s hinge and lock sides. This is probably the trickiest part and will require a lot of precision on your part. - STEP 5 - Add an automatic door bottom. 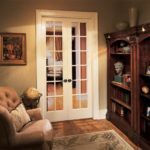 The final step when you want to soundproof a bedroom or apartment door is to install the automatic door bottom. 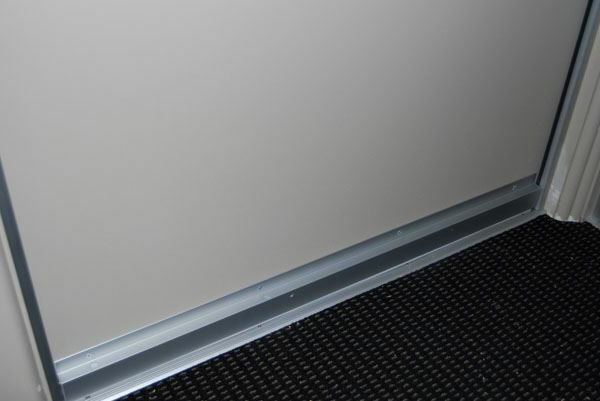 This is an aluminum bar with a neoprene seal that is used to block the large gap found at the bottom of the door. 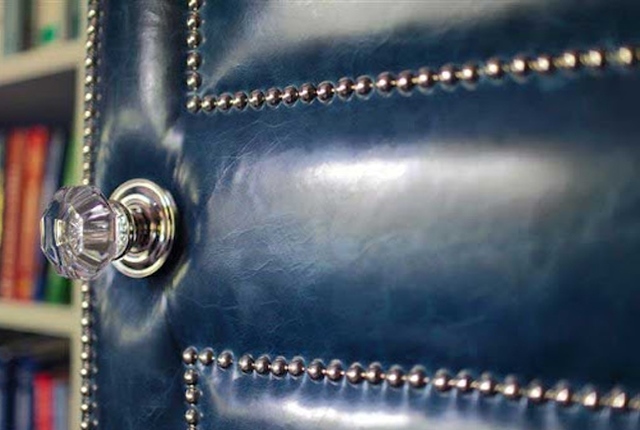 The seal creates a plunging effect creating a sort of vacuum and preventing passage of sound waves through this slit. As with the fiber board, you will have to take measurements in order to ensure that it is a perfect fit. 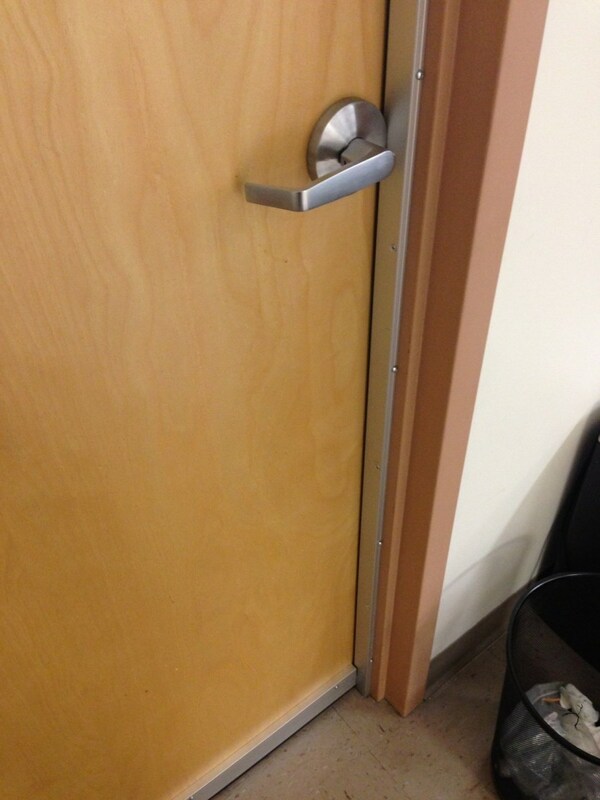 With this out of the way, all you have to do is to fix it onto the door using screws and a drill and voila! You have a completely soundproof door. 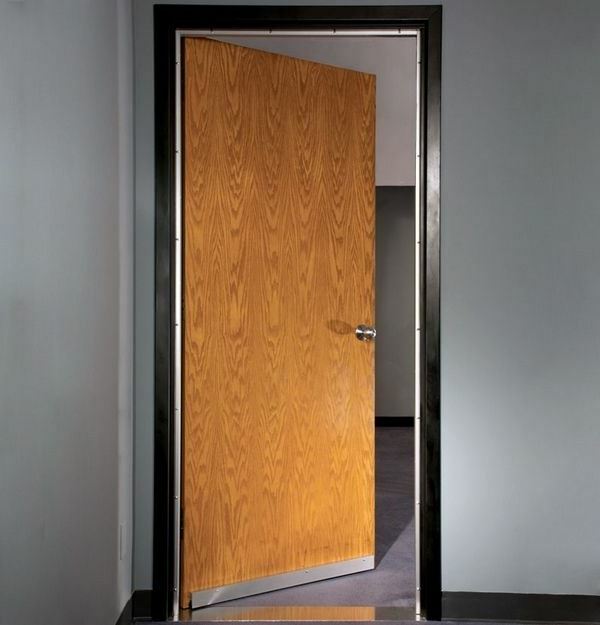 In conclusion, it is safe to say that you have all the information you need to start working on soundproofing your apartment or bedroom door. The trick is to know what you want within your means and doing the best with what you have. 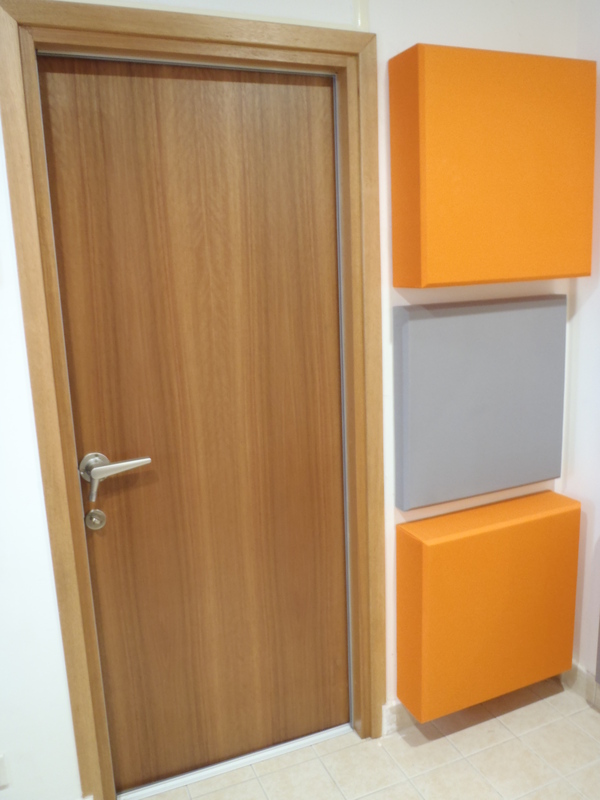 That way, whether you are soundproofing your apartment door to keep out the neighbor’s child’s wailing or you are soundproofing your bedroom door for privacy, you can rest assured that the process will run a lot more smoothly.